I've always wanted to wear an all white outfit though I'm afraid it would make me look fat. But I realized, clothes don't make you look fat...your fat makes you look fat. LOL kidding! hahaha Heard that joke from a local radio station and it made me laugh so hard. Haha! Anyway, here are some more photos from the shoot that I did last month. These are all outfit shots, so yeah, it's #ootd time! Thanks for stopping by my blog! Love your outfit! Love this look, you look Great and that jacket...! Love the all white elements! Thanks for reading my blog, just followed you via bloglovin & fb! I love how you wore that jacket over your shoulders like a cape. It turned this street chic look into a high fashion one <3 Ang ganda! "your fat makes you look fat" <- This. Hahaha! You're so pretty with your all-white ensemble. :) Miss you already. I also like thrift & bazaar shopping. We really love this look! 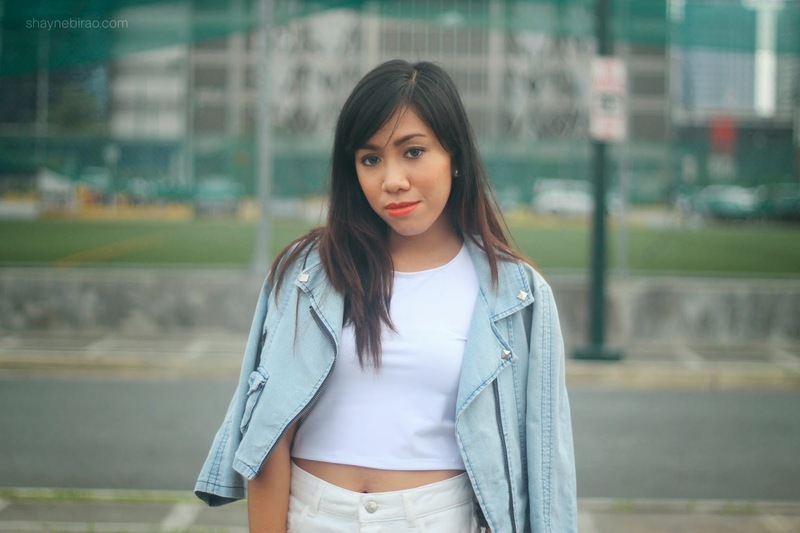 The all white ensemble with the pastel denim jacket just works perfectly! cool look, I love total white!